The Atlanta Braves were hovering around .500, and in serious jeopardy of watching the Nationals blow by them with a healthy roster. Instead, they are the biggest mover of the week, riding a 9 game win streak. All of this coming on the heels of losing Evan Gattis for awhile. 1. ***Oakland A’s (1) 54 – 33: 6 – 3 The A’s are the only team that has an above .600 Win Percentage. What is not to like. They have the best record since 2012, are even better over the last 2 years (July 2012, July 2014, about .615 Baseball), have won 2 AL West in a row as well. Added to the fold is a great trade bringing in Jeff Samardzija and Jason Hammel, and not yielding anything from the current MLB Roster in return. 2. ***Detroit Tigers (2) 48 – 36: 6 – 4: Tigers beat the better teams, and have troubles with the lesserlites. Emergence of J.D. Martinez is a major bonus for a team starving for OF help. Still need more Bullpen arms. Great division for opponents down the 2nd half. Jose Abreu has clubbed 27 HRs in his 73 MLB Games, and is on pace to break the single season record HR clip established by Mark McGwire back in 1987 with the A’s (49). But what kind of offensive support will have past the trade deadline? Will teams pitch to him in Aug and Sept, when they have pennant drives on the line? Abreu has also added 69 RBI for the campaign, and is just 1 knocked in short of Edwin Encarnacion and Nelson Cruz. All of those three have been exchanging the MLB lead for both HRs and RBI all season. 3. ***Milwaukee Brewers (3) 52 – 36: 4 – 4: The Cardinals can’t close the gap. If the Brewers can pull off a trade for an ace, I would put them #1 right now. They have the biggest lead in the Majors, without Ryan Braun and Aramis Ramirez tearing it up. Carlos Gomez and Jonathan Lucroy have been money players for consistency. A nice renaissance for Francisco Rodriguez among great stories in baseball for 2014. 4. ***LA Dodgers (4) 50 – 40: 7 – 4: Clayton Kershaw with 36 IP scoreless streak – and could challenge Orel Hershiser‘s mark of 59 IP set in 1988. 5. Washington Nationals (6) 47 – 39: 6 – 3: They are winning a lot more than they are losing in recent vintage, and are healthy for a change. The staff is too dominant to have the team skid anymore. Unless injuries play a factor, I expect these guys to take over the NL East soon. 6. Los Angeles Angels (7) 50 – 36: 7 – 3: Jerry DiPoto keeps on picking up relievers to help the plight – and they finally replaced Raul Ibanez for good. The bench is strong, Mike Trout will win his 1st AL MVP, and will need Albert Pujols and Josh Hamilton to remain on the field. This team could still challenge the A’s and look for them to counter the Oakland deal with the Cubs with one of their own. 7. ***Atlanta Braves (12) 49 – 38: 9 – 1: The ‘Tomahawk Choppers’ have won 9 in a row, and are seeing the offense go on one of their streaks. B.J. Upton actually hitting well since his insertion into the leadoff position. Evan Gattis injury still has to rear its ugly head on the club at some time. 8. ***Baltimore Orioles (10) 47 – 40: 6 – 4: Chris Davis is super struggling at .201, and has fanned 8 times in his last 3 games. The club also weathered the Manny Machado suspension. Substitution players of Steve Pearce (.331 BA 10 HRs and 30 RBI in 50 Games) is keeping team afloat, and Nick Hundley is starting to hit. 9. San Francisco Giants (5) 48 – 39: 2 – 7: Tim Lincecum has saved the staff his last 2 trips around the rotation, with 17 scoreless innings, and the team has Brandon Belt back. Unfortunately on that day, Pablo Sandoval was plunked in the elbow, and was forced to leave the game SAT. Sergio Romo has been ousted as Closer, and good luck getting the Division back from the Dodgers now. 10. Seattle Mariners (11) 48 – 39: 6 – 2: This club is 39 – 25 in their last 64 games and totally legitimate as contenders. Felix Hernandez with 10 straight starts of 7 IP, and 2 ER or less. Robinson Cano is affecting the lineup positively. Logan Morrison and Michael Saunders are both hitting better, and there is even a pulse from SS Brad Miller, after an abysmal start. Kyle Seager is quietly at 59 RBI. It will be a tough road ahead to the Wild Card through some of the other clubs, but they should fare well versus the Rangers and Astros down the stretch. 11. St. Louis Cardinals (9) 47 – 41: 4 – 5: As stated earlier this year, this club is lacking a huge amount of power, and are not hitting with runners in scoring position like in 2013. Adam Wainwright can’t do it alone, and trusting a bevy of young pitchers not used to a full MLB workload is not the way to bring home a title. This team screams for a blockbuster trade to pick up David Price. 12. Toronto Blue Jays (8) 47 – 42: 3 – 6: The Canadian club took 2 straight versus the Milwaukee Brewers, but are having a tough time in Oakland right now. Mark Buehrle is 0 – 5 in his last 5 decisions, and is watching his ERA start to soar. The club is coming down with injuries again. I am afraid the only way this squad makes the playoffs is to win the AL East – just not convinced the Jays are as good as the O’s. 13. Kansas City Royals (13) 45 – 41: 5 – 3: KC has maintained its consistency in the last week or so after crashing from their big winning streak. Detroit always seems to come back to the pack when you think they are about to run away with the AL Central. I am sorry fellas, but adding 42 Year Old DH/OF Raul Ibanez will not solve your offensive woes. 14. Pittsburgh Pirates (16) 46 – 41: 7 – 2: The Bucs have the unfortunate task of playing in a tough NL Central again this season. Quite likely, they will have to duel it out with the Brew Crew and Cards for a playoff position, with the other NL Wild Card likely coming from the tandem of Washington/Atlanta and San Fran, who have all easier schedules than the Reds and Pirates. 15. Cincinnati Reds (14) 44 – 42: 5 – 4: Where have you gone Joey Votto? Kudos to Todd Frazier, (17 HRs and 13 SB). Our Billy Hamilton prediction for NL Rookie Of The Year doesn’t look so bad either. Johnny Cueto throws outstanding baseball in pretty much all of his starts. Cincy is in a tough position, vying for a playoff spot out the NL Central. 16. New York Yankees (15) 43 – 43: 3 – 6: Trading for Brandon McCarthy maybe a start for the team blowing out their AAV on players. Look for any player with an expiring contract be on the Bronx Bombers radar. Brian Roberts should be given a longer look at the top of the lineup. Nice 4 extra base hit game this past FRI.
What a whirlwind year for Alfonso Soriano. A 2nd half hero in 2013, to a guy who looks like he can’t even make contact in 2014, and now DFA’D. 17. Cleveland Indians (18) 42 – 44: 4 – 4: The Tribe should benefit from the Twins and White Sox parting with veterans, unless they plan to do the same. What will they do with Justin Masterson and Asdrubal Cabrera. They should trade them both, and just roll with the rest of the squad for the remainder of the year. 18. Boston Red Sox (19) 39 – 48: 3 – 5: David Ortiz can only save this team on so many occasions. They would be wise to pull a 2012 maneuver again, and trade most of their veterans, promote their kids – and hit the 2015 year with some Free Agents. 19. 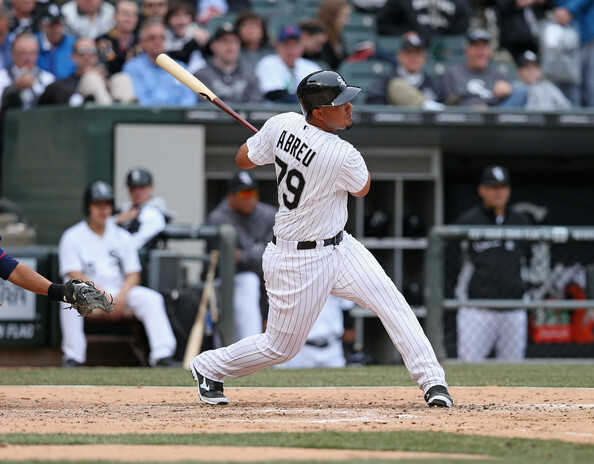 Chicago White Sox (21) 41 – 47: 5 – 4: How many HRs would Jose Abreu have had he not missed 13 Games this year. I still hope he can chase down Mark McGwire‘s rookie record of 49 bombs in 1987. 20. Miami Marlins (17) 42 – 45: 3 – 6: Here is a time where you don’t make a deal for any veterans Fish! Stop it with Jeffrey Loria wants to win right now. Keep going on the same path you are on. If you are serious about winning long-term, how about you open up the bank vault to pay Giancarlo Stanton? 21. Tampa Bay Rays (26) 40 – 50: 8 – 2: Tampa is 16 – 8 in their last 24 games played, and if there is any team that can really around their skipper, it is the Rays behind Joe Maddon. The best thing for the franchise long term, would be to flip Ben Zobrist and David Price, however if they can roll out a 14 – 6 20 game stretch, they should keep the band together. You can still trade Price and Zobrist in the offseason. If the team falters, take advantage of the market. 22. San Diego Padres (26) 39 – 48: 5 – 3: Maybe they should fire the GM every few weeks. Extending Seth Smith was a stupid move. Not saying he is not a good player, the idea is to sell high, and you are not doing well with the core you have now based on a failure of that concept. 23. Texas Rangers (24) 38 – 49: 3 – 7: Adrian Beltre just keeps becoming better with age. Trade him, and also Alex Rios. This season is 5 games from a toe-tag anyway. 24. Minnesota Twins (22) 39 – 47: 3 – 7: Josh Willingham and Kurt Suzuki should be dealt. Try to have someone take Kendrys Morales off our hands too. 25. New York Mets (20) 38 – 49: 2 – 7: Oh boy. these guys are heading for another futile year. At least Lucas Duda is hitting. 2015 doesn’t look that bad either with Curtis Granderson finding his groove. Find a suitor for Daniel Murphy (how about the A’s, who have too many pitchers right now, and a need for a 2B? 26. Philadelphia Phillies (21) 37 – 50: 2 – 8: This season has imploded quick. I would go on a big diatribe on the trading of some of their players, but apparently it won’t help. 27. Chicago Cubs (30) 38 – 47: 6 – 3: Dealing away 2 of their top 5 pitchers will end the season after a great stretch of play, but man are they accumulating young talent. A trade for Starlin Castro maybe brewing if the price is high enough. 28. Colorado Rockies (25) 37 – 51: 2 – 8: The same script ensues every year. Great start. Weighted numbers at home. Inconsistent pitchers. Carlos Gonzalez or Troy Tulowitzki hurt, and the season ends in disappointment. It is like shampooing you hair instructions. Lather, apply water, rinse and repeat every year. 29. Arizona Diamondbacks (28) 36 – 53: 3 – 5: Paul Goldschmidt is going to crank over 80 XBH – and hit .300/.400/.500 – and the Snakes are going to waste the effort. Trading Joe Thatcher and Brandon McCarthy were the start of many roster moves over the next 8 weeks. 30. 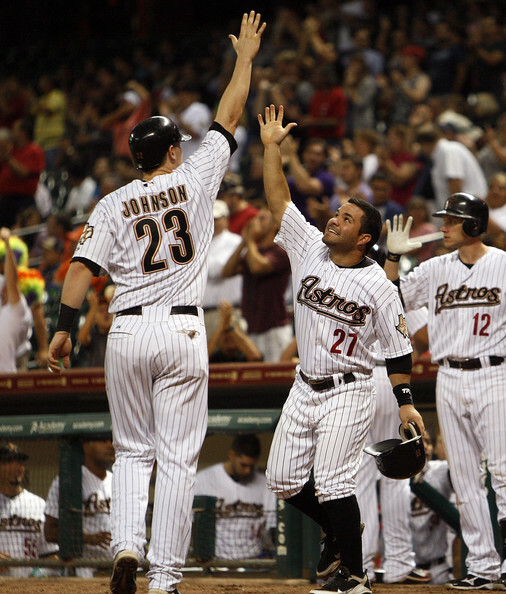 Houston Astros (29) 36 – 53: 3 – 7: Jose Altuve is still the most underrated player in the ballgame. I hope he wins the batting title, leads the league with 200+ hits, makes the ALL – Star team, and that we teach our children how to do math by way of “How Many Altuves? Posted on July 6, 2014, in MLB Teams: Articles and Analysis, Players: Fantasy Baseball Articles and tagged adam wainwright, adrian beltre, al central, AL East, AL West, alex ríos, alfonso soriano, All 30 MLB Teams, American league, arizona diamondbacks, asdrubal cabrera, Atlanta Braves, b.j. upton, baltimore orioles, ben zobrist, billy beane, BIlly Hamilton, boston red sox, brad miller, brandon belt, brandon mccarthy, brian roberts, carlos beltran, carlos gomez, carlos gonzalez, chicago cubs, chicago white sox, chris davis, cincinnati reds, clayton kershaw, cleveland indians, colorado rockies, curtis granderson, daniel murphy, david ortiz, david price, detroit tigers, evan gattis, felix hernandez, francisco rodriguez, giancarlo stanton, houston astros, jason hammel, jeff samardizja, jeffrey loria, jerry dipoto, Joe Maddon, joe mauer, joe thatcher, joey votto, johnny cueto, jonathan lucroy, jose abreu, josh willingham, justin masterson, kansas city royals, kendrys morales, kurt suzuki, kyle seager, la angels, la dodgers, logan morrison, lucas duda, mannyh machado, mark buehrle, miami marlins, Michael Saunders, Mike Trout, milwaukee brewers, minnesota twins, national league, new york mets, new york yankees, nick hundley, NL Central, NL east, nl west, oakland athletics, orel hershiser, pablo sandoval, paul goldschmidt, philadelphia phillies, pittsburgh pirates, raul ibanez, robinson cano, ryan braun, san diego padres, san francisco giants, seattle mariners, sergio romo, seth smith, st louis cardinals, starlin castro, steve pearce, tampa bay rays, texas rangers, tim lincecum, todd frazier, toronto blue jays, washington nationals. Bookmark the permalink. Leave a comment.